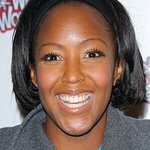 Angellica Bell is a British television and radio presenter. She is a supporter of Breakthrough Breast Cancer. Google trends for "Angellica Bell"
We don't have any videos related to Angellica Bell.